We hope you enjoy all the pictures we are including. 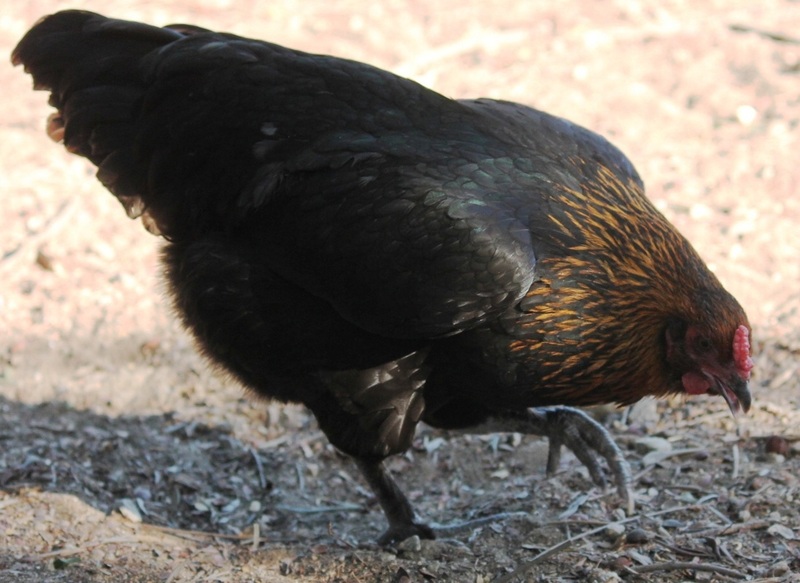 Be sure to check out our chickens' profiles & roosters & chick development stage photos which we hope will help some of you to sort out your roos & from your hens at early stages. My favorite chickens. 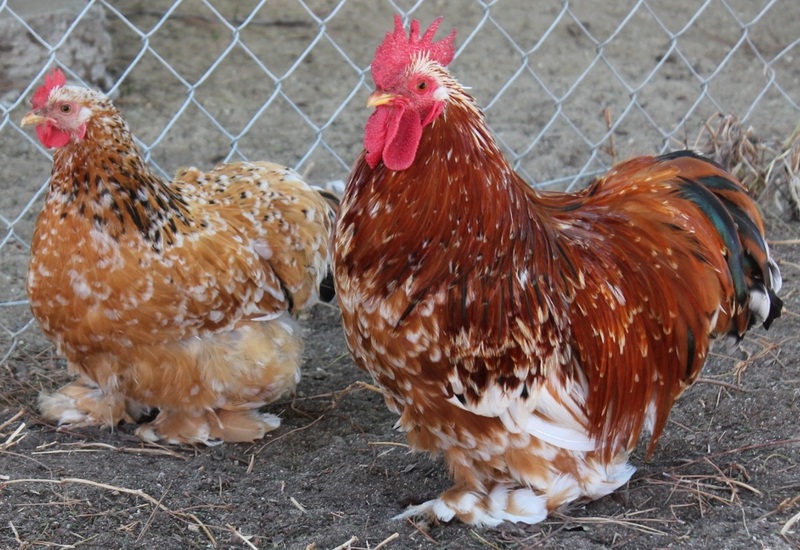 Flopsy & Mopsy are my mille fleur bantam cochin couple. 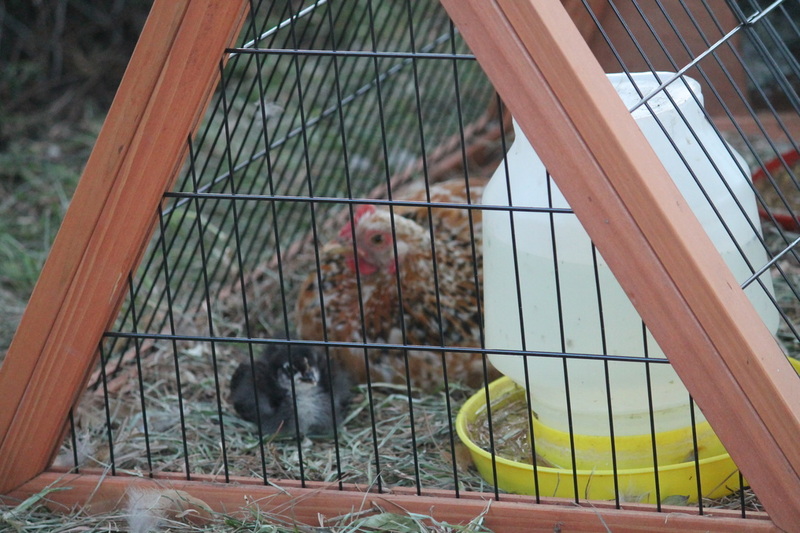 They are super sweet to people, to each other & to other chickens. I would love a yard filled with these! 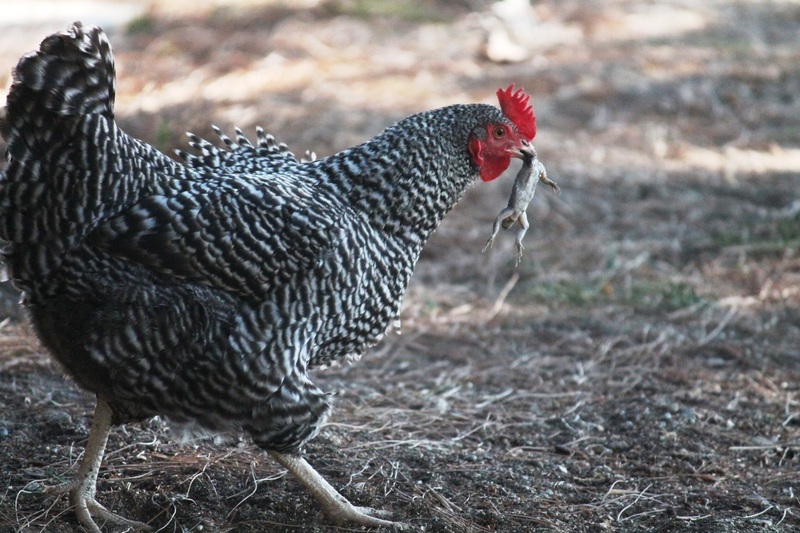 Our barred rock with her already dead lizard. 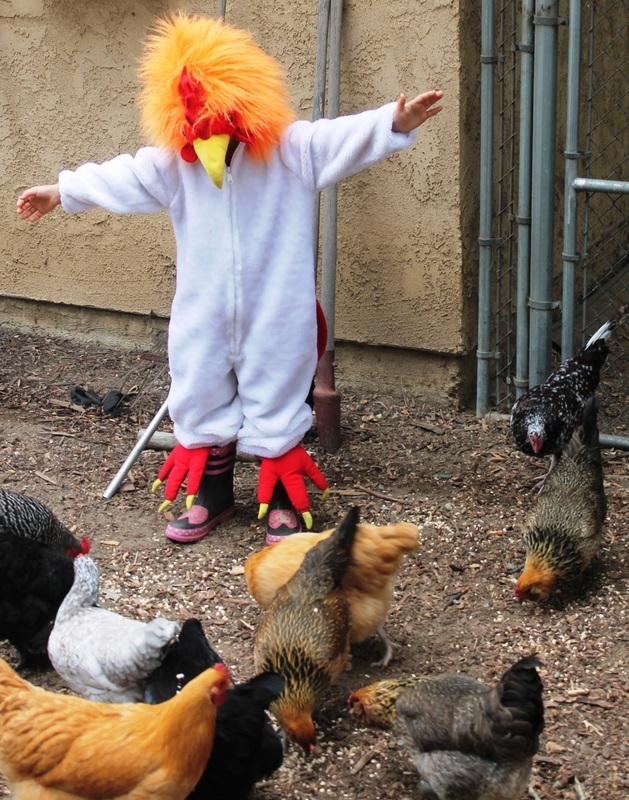 The craziest chicken of them all!